When I went to one of my favorite local health food shops today, I came across lupin flour. Have you heard of it? I’ve seen lupin beans at Kakulas brothers, but not the flour. I couldn’t resist myself taking some home for a little gluten free baking experiment. Lupin or Lupini beans are yellow legume seeds of the lupinus genus plant, a common food of the Mediterranean basin and Latin America. Flour from the lupini bean has many health benefits such as high dietary fiber, high protein, no starch, non-GMO, and a low glycemic index. It helps manage hunger throughout the day as well as provides higher brain function. It is also naturally gluten-free. Yay! The problem with gluten-free baking is that it can have a weird texture, or the hint of a strange flavour. It is best to swap half of the flour in your favorite bread or cookie recipe with lupin flour. It is on the salty savoury side so skip adding any additional salt. And it has a texture closer to cornmeal so extra moisture is also helpful. I wanted to bake something savoury using lupin flour today. Spinach, feta cheese, black olives and thyme sounds good to me! 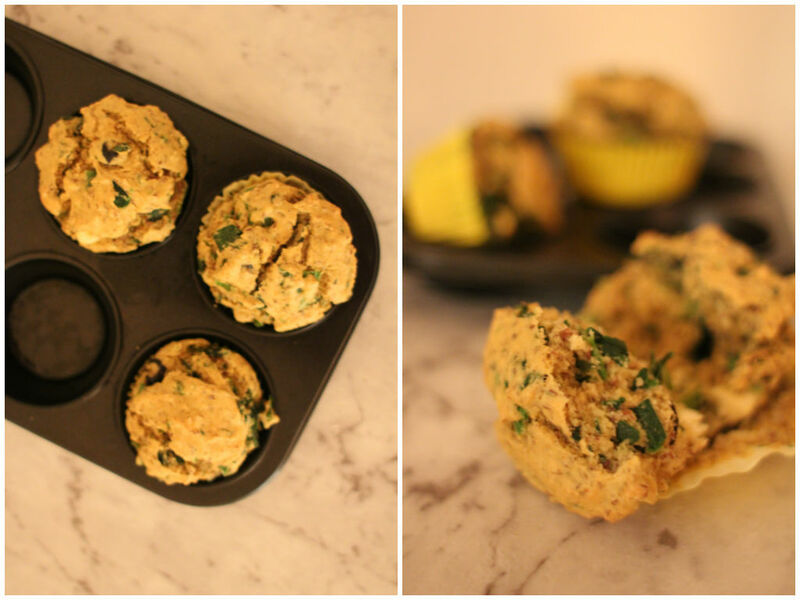 These muffins are packed with protein – great for breakfast! I only made three for experiment, but feel free to double up the recipe and make 6 muffins. Lightly beat eggs and olive oil in a large bowl. Add all dry ingredients in and stir to combine. Add crumbled feta, chopped olives and spinach, and thyme into the mixture and stir until combined. Spoon the mixture into a muffin tins and bake in the preheated oven (180) for 20-25 minutes until cooked.